Check: 3 bad skin care habits you should be breaking right now! 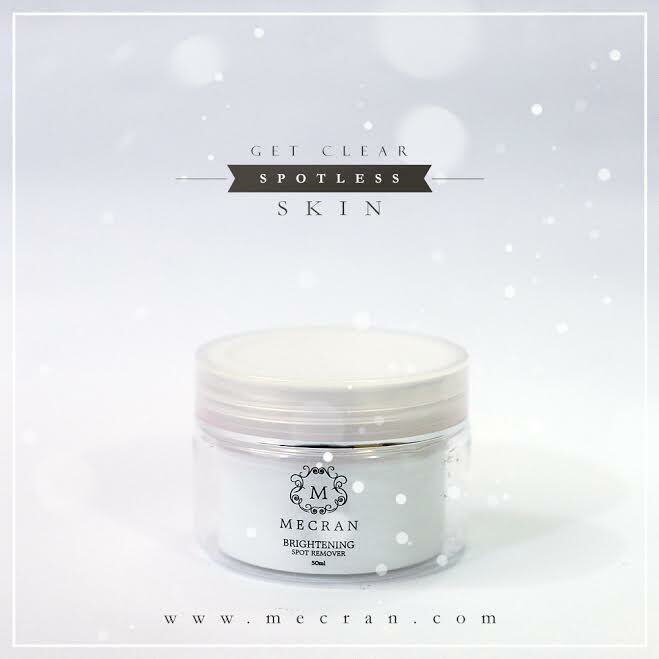 Flawless, smooth, spotless, fresh…these are words that will probably never be used to describe your skin. And before you start blaming your ancestors for the type of skin you have, you need to look at yourself. 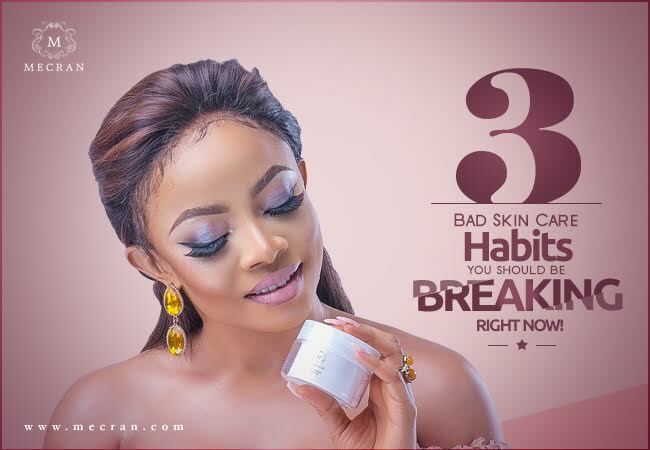 Perhaps you are guilty of one or all of the three skin care habits mentioned here. 1. Bursting your pimples: Awon pressers club of Nigeria, you know yourself. You see small pimple on your face and begin to press the thing like those bubble wraps that comes with our phones. This habit is the reason why your face has become spotty. Stop it today and you can spot the difference in a week. 3. Bringing your makeup to bed with you: From sunrise to sunset, your makeup is so stuck on you that it has become your second skin. Apart from the gross factor of this habit, it clogs up your skin and can lead to unsightly flare ups! Breaking these bad habits is just one step to getting clear and spotless skin. 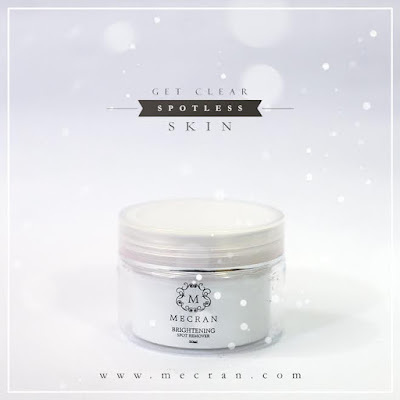 Get rid of the spots with MECRAN Dark Spot Remover which moisturizes your skin, eliminates dark spots and brightens your skin in one easy step while offering sun protection.